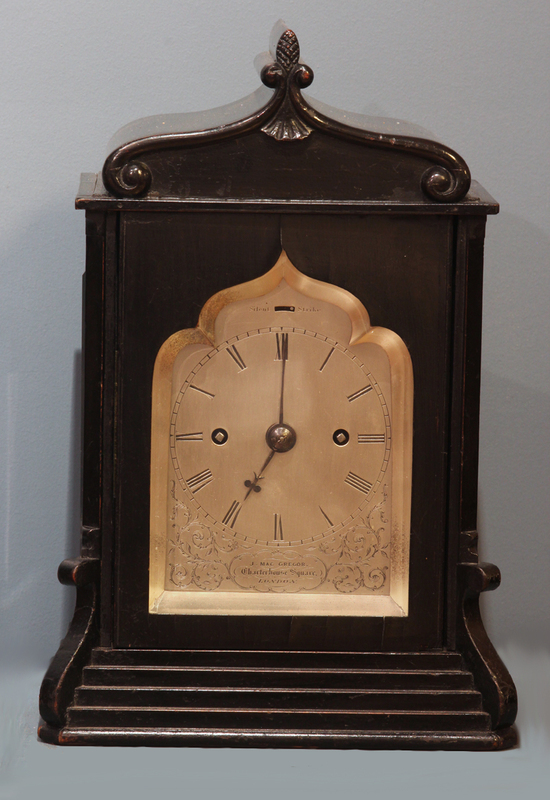 c.1830 Small English Ebonized Bracket Clock. 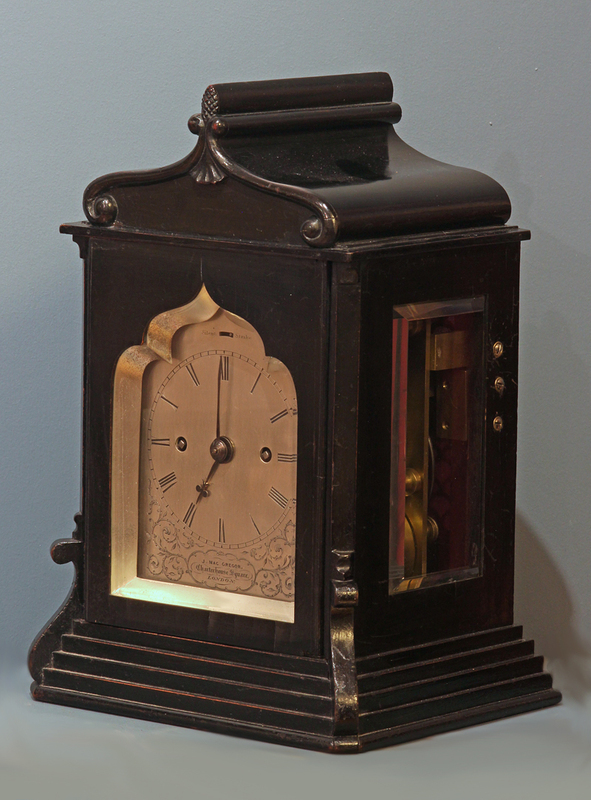 A very nice early 19th century small English ebonized bracket clock by James Mac Gregor, London. 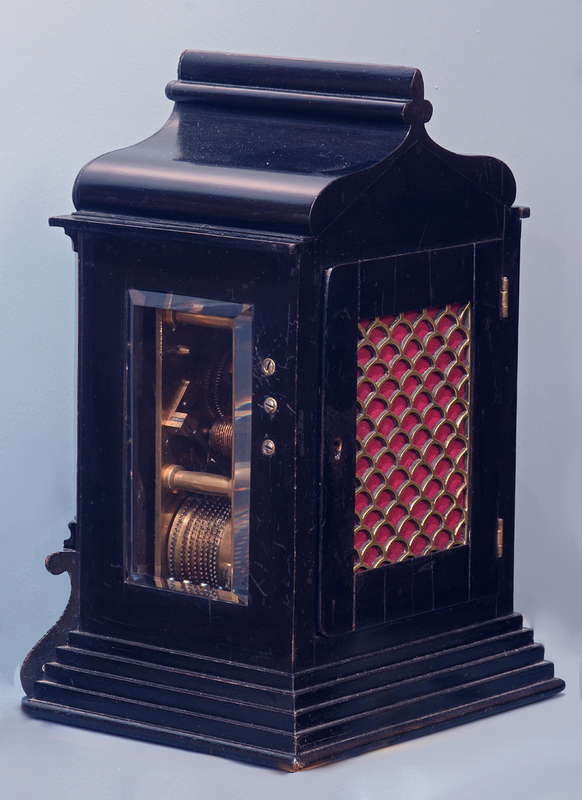 The small ebonized case has a shaped top, thick beveled glasses to the sides and front, a stepped base, chamfered front corners with large simplified volutes and a hinged rear door with a fish scale fret. 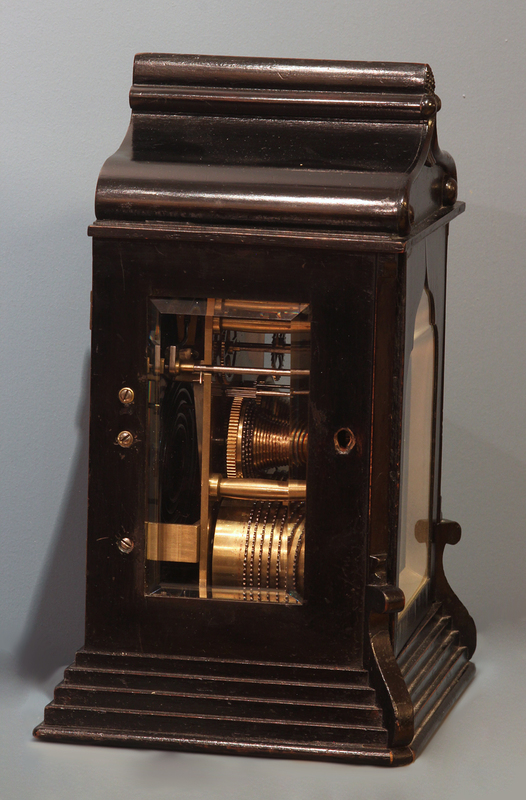 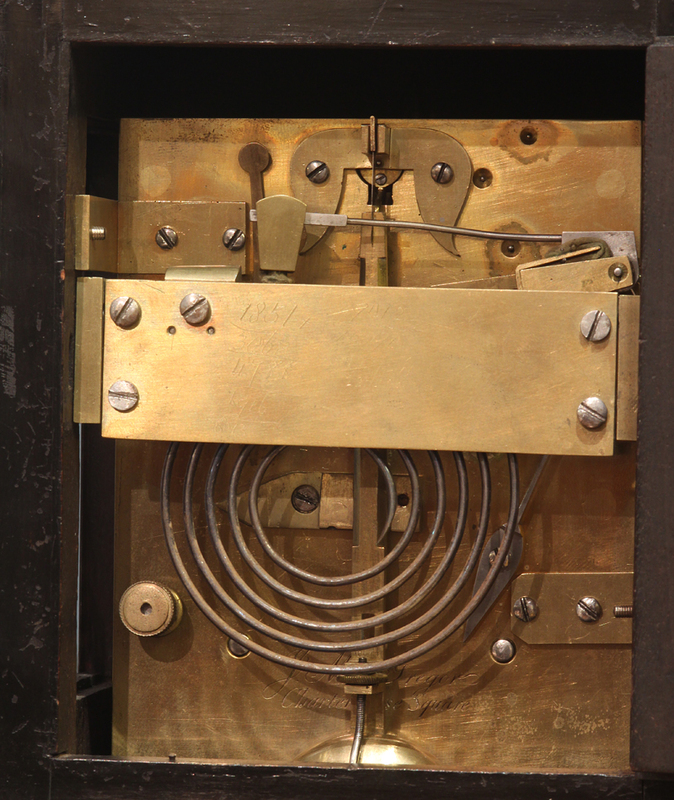 The eight-day twin-fusee movement has an anchor escapement, a pendulum with a massive bob, is gong striking with the gong mounted to the sides of the case, and is signed by the maker, J’ Mac Gregor, Charterhouse Square’. 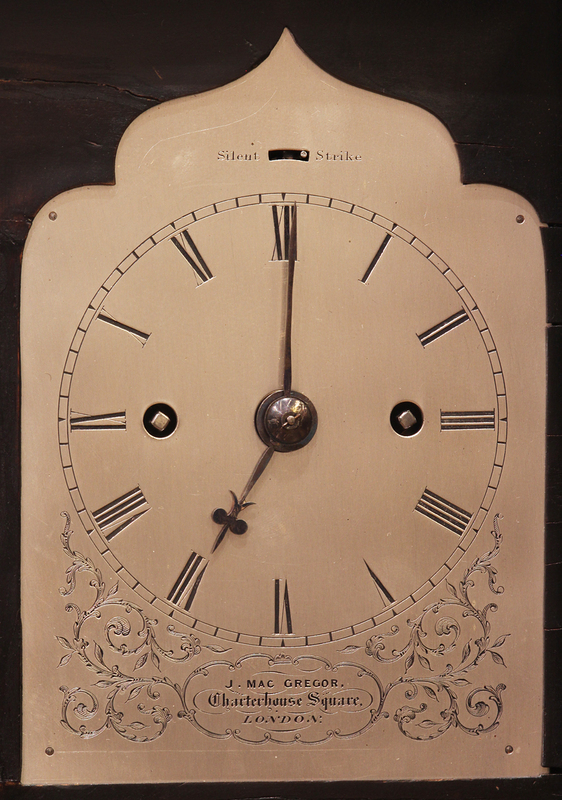 The gong bracket has a list of inscribed repair dates starting in 1851.